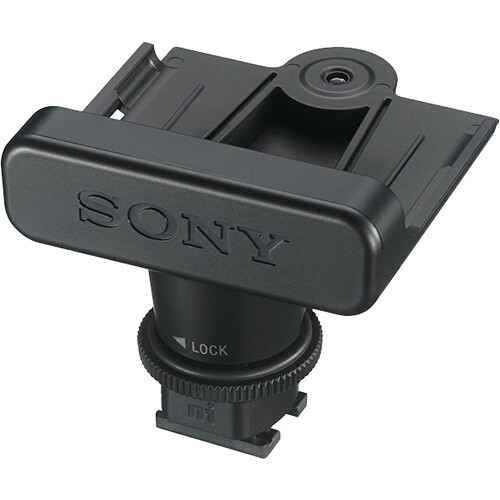 The SMAD-P3 Multi-Interface Shoe Adapter by Sony is for connecting the UWP-D series wireless receiver directly to a camera. It can be used to eliminate the need for connecting cables in applications using Sony cameras and camcorders. Using a multi-interface shoe connection eliminates the need for an XLR output cable. Power can also be supplied by the camera, and the camera can control power on/off, unifying power management. The SMAD-P3 is applicable to XDCAM Camcorders PXW-X70, PXW-X160, PXW-X180, PXW-X280, PXW-X200 and PXW-FS7, Handycam HXR-MC2500, FDR-AX100, NEX-VG900 & NEX-VG30, plus interchangeable lens digital cameras Alpha a7, a7R, a7S, a99, a7S pro, and Cyber-shot DSC-RX10. Box Dimensions (LxWxH) 6.3 x 5.1 x 4.1"